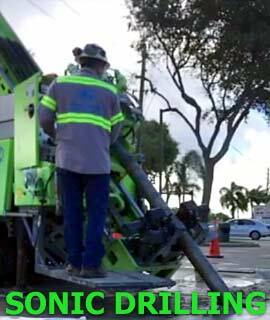 Sonic drilling uses high frequency vibration to provide amazing results in less time and with less mess. Hydraulic motors on the drilling head oscillate offset weights to create a high frequency vibration of the entire drill string. This vibration fluidizes the soil, greatly reduces friction, and allows the drill string to penetrate up to 3x faster than conventional drilling. Drill up to 3x faster with less waste! 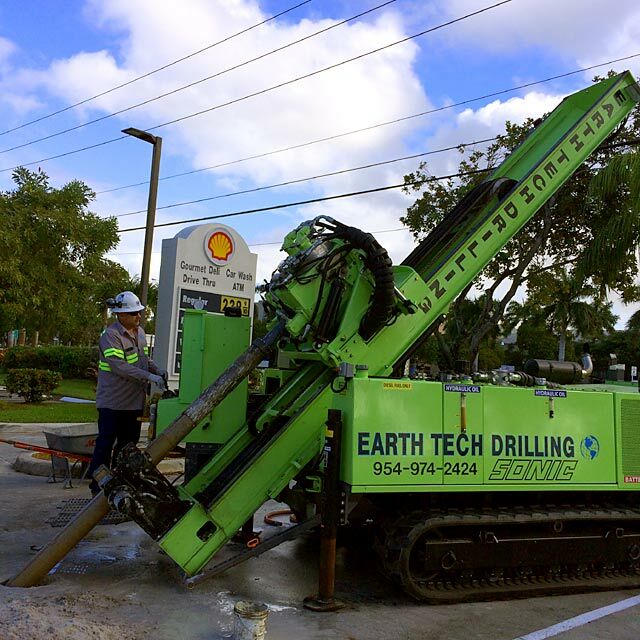 Sonic drilling is ideal for environmental and geotechnical applications with the ability to produce continuous, undisturbed core samples. 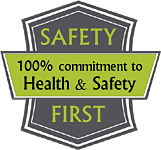 You can achieve reduced overall project costs due to the fast drilling speed and reduced spoils. Continuous undisturbed sampling. Larger volume, higher quality samples. Easier drilling through difficult surfaces. Ability to constantly case the borehole. 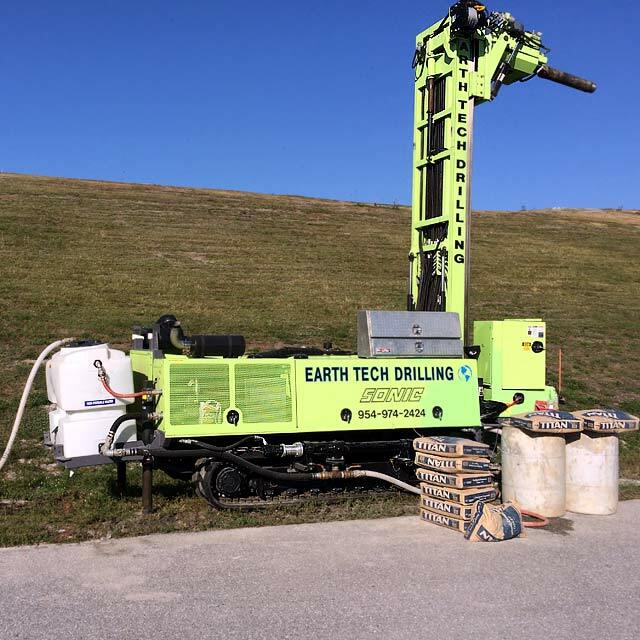 Sonic drilling throughout the Southeastern U.S.